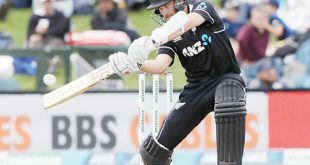 MOUNT MAUNGANUI, New Zealand, Jan 3, (AFP): New Zealand’s master blaster Colin Munro attributed his record-setting century to sink the West Indies in the third Twenty20 in Mount Maunganui on Wednesday to a hit-andhope philosophy. “I try and go out there and swing from ball one and see what happens,” he said after blazing 104 off 53 deliveries. 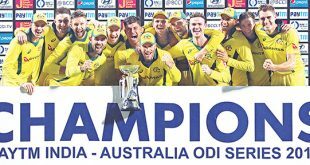 On the back of Munro’s heroics, New Zealand won the third Twenty20 by 119 runs to complete a sweep of the tour by the West Indies, having won both Tests, all three one-day internationals and two T20s. Munro became the first player to score three centuries in international T20s, going one clear of four other players, including the West Indies’ Chris Gayle. 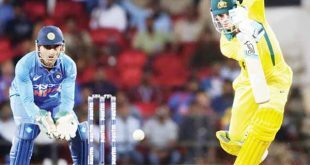 “If I’m lucky enough to get a good start, I try and carry that momentum and if it’s my night, it’s my night and if not then back to the drawing board,” said the 30-yearold left-hander, who cracked 10 sixes and three fours. New Zealand made 243 for five in their 20 overs and the West Indies’ reply ended at 124 for nine in 16.3 overs, with Shai Hope unable to bat after being injured while fielding. Munro was named man of the series after scores of 53 and 104 in the two completed Twenty20s and 66 in the washed-out second match. 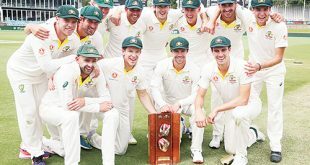 The West Indies, desperate to get at least one win on the tour, tried every trick in their playbook but captain Carlos Brathwaite admitted Munro was too good. “He took the game away from us,” Brathwaite said. “Some of (our) plans we executed and he got past them. 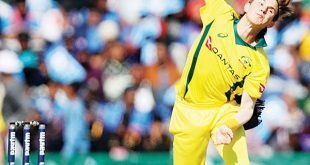 Some of them we didn’t execute as well as we wanted to and he capitalised,” he added. “What was good with his knock was that he always capitalised on our mistakes and we presented a few too many to him.” Munro and Martin Guptill (63) put on 136 in 11 overs for New Zealand’s first wicket. That included 16 off the first over by Rayad Emrit, who was making his T20 debut at the age of 36. But Emrit claimed success in his second over when he had Guptill caught behind. Munro continued until the first ball of the final over when he drove a Brathwaite full toss straight to Shimron Hetmyer at long on. The West Indies reply began disastrously with Chadwick Walton and Chris Gayle out without scoring in Tim Southee’s opening over. Andre Fletcher did his best to rebuild the innings and ensured the tourists kept up with New Zealand’s run rate for the first eight overs. But the introduction of spin saw Ish Sodhi end Fletcher’s innings for 46 and the momentum fizzled. From 80 for four after eight overs, the last five West Indies wickets fell for 44 runs in 51 balls.